«We are people» illustrated quotation. Refugee Day, free quote pictures for Facebook, Twitter, LinkedIn, Reddit, Pinterest and other social networks. We are not myths of the past, ruins in the jungle, or zoos. 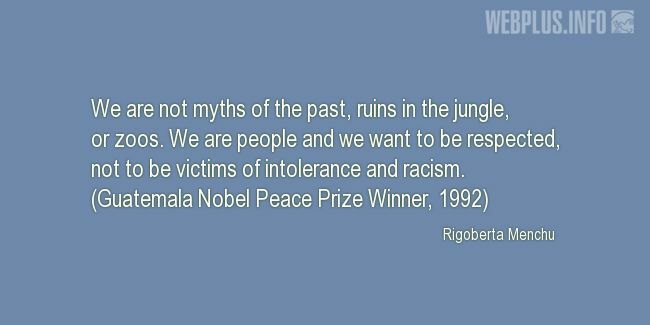 We are people and we want to be respected, not to be victims of intolerance and racism.